Supplied "free" in a promotional triple-pack of Kodak T400CN C41-process black and white film, these little devices are an incredibly useful accessory for any compact camera with a self-timer, allowing the camera to be set up on any convenient surface. 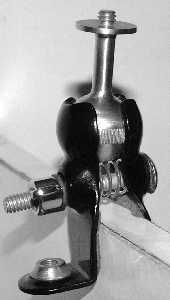 A useful ball-and-socket assembly on a clamp to facilitate the mounting of a camera on a rigid support. 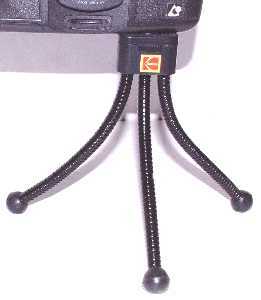 One side of the clamp, shown, incorporates a tripod bush. 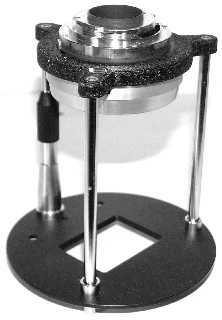 A device for use with the Retina Reflex S, III and IV cameras for taking 1:1 images in conjunction with an R2 auxiliary close-up lens. The fitting at the top of the stand acts as an extension tube for the 50mm f/2.8 lens. An extra fitment was available to screw to the base to facilitate the copying of mounted slides.